Stand Out Above Your Competition! Big 50% Off Sale… Now $999! Get a beautiful custom high definition 30-second commercial video with a professional spokesperson profiling and endorsing you and/or your company! It all comes complete with the best prestige-boosting high definition cameras, camera cranes, and million dollar sets! Yes, we can do that for you, with absolutely no work on your part. This big-time video production is priced at an amazing $999 (Regular $1,999). Just call us and you’ll have it within days! Put a professional 30-second video on your website home page and just about everyone who visits your site will choose you and your firm — not your competitors. When potential customers see your video they will not only be impressed with the high definition quality of the work but also be more likely to contact your company! Attach your video to all of your emails to your clients and prospects. If you attach your video to an email to a prospect who is considering your services, you’ll stand out above the crowd! Mr. 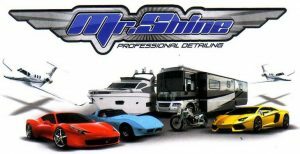 Shine Professional Detailing wanted a beautiful website with a professional commercial to automatically play when potential customers visited their website.